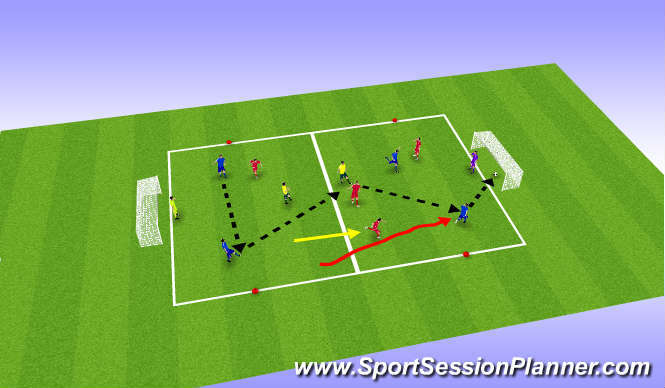 Organisation: Set up an area 40yds x 30 yds with gates for each pair of players (5in this case) and pair your players up. 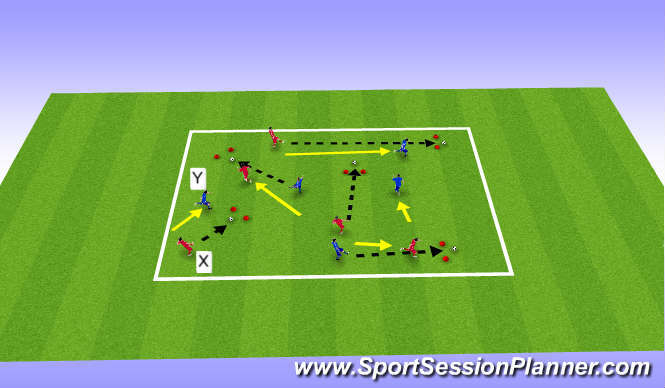 X Player passes the ball through the gate for player Y to run onto. Continue on through the next free gate. 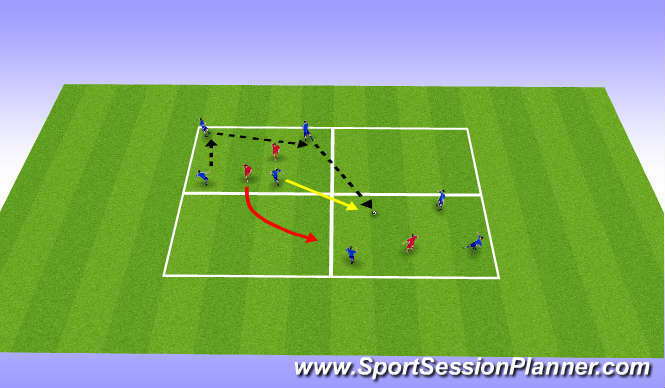 Progress to runs from behind the ball, runs ahead and give and goes. forward run so they can pass to the other grid and join in. One defender gives chase and also joins in to make that grid 4v2, repeat process back.